Forests grew up out of what was once barren, ice-covered ground. Dark, cool stands of pine were replaced by thickets of hickory and oak. A survey of global fossil and temperature suggests that Earth's ecosystems is at risk. After the end of the last ice age, as sea levels rose, glaciers receded and global average temperatures soared as much as 7 degrees Celsius, the Earth's ecosystems were utterly transformed. Forests grew up out of what was once barren, ice-covered ground. Dark, cool stands of pine were replaced by thickets of hickory and oak. Woodlands gave way to scrub, and savanna turned to desert. The more temperatures increased in a particular landscape, the more dramatic the ecological shifts. It's about to happen again, researchers report Thursday in the journal Science. A sweeping survey of global fossil and temperature records from the last 20,000 years suggests that Earth's terrestrial ecosystems are at risk of another, even faster transformation unless aggressive action is taken against climate change. "Even as someone who has spent more than 40 years thinking about vegetation change looking into the past . . . it is really hard for me to wrap my mind around the magnitude of change we're talking about," said ecologist Stephen Jackson, director of the U.S. Geological Survey's Southwest Climate Science Adaptation Center and the lead author of the new study. "It is concerning to me to think about how much change and how rapidly the change is likely to happen, and how little capacity we have to predict the exact course," he continued. "Which creates very large challenge for all of us out there who are trying to manage wildfire, fish, water, soil, endangered species - all those different ways in which natural ecosystems affect us." Jackson has spent most of the past four decades studying ecological changes as the Earth transitioned from an ice age to the current "interglacial" period between 20,000 and 10,000 years ago. His experience suggested that no corner of the planet made it through that upheaval unchanged, but being a scientist, he wanted actual evidence. So Jackson brought together a group of more than three dozen ecology experts from around the globe to assess how vegetation in various regions had been altered after the end of the last ice age. The scientists analyzed preserved bits of plant pollen from nearly 600 sites on every continent except Antarctica. For each metric, they ranked the change at their site as "low," "moderate" or "large." Quickly, "a clear relationship appeared," said Connor Nolan, the University of Arizona graduate student who led the analysis. Regions that experienced large temperature increases - especially North America and Europe - invariably underwent large vegetation shifts. Where the temperature changes were more moderate, around the equator, some ecosystems had a chance of coming through relatively unscathed. Next the researchers applied that relationship to four possible scenarios for human-driven climate change in the next century. In the most optimistic scenario - in which people act aggressively to cut carbon emissions, limiting the global average temperature increase to about 1 degree Celsius - the probability of large changes in the composition and structure of most ecosystems was low. But in every other situation - particularly the "business as usual" high emissions scenario, which predicts 4 degrees Celsius temperature increases by 2100 - transformation will be unavoidable. That high emissions scenario represents roughly the same magnitude of temperature increase as the historic shifts documented in the Science paper, Nolan noted. "But now instead of going from cold to warm we're going from warm to way warmer and on time scales that are way faster than anything experienced in the past." Scott Wing, a paleo-ecologist at the Smithsonian's National Museum of Natural History, said the findings are not surprising. For as far back as scientists have looked in the fossil record, vegetation has been tied to climate. "This is an extremely useful paper because it summarizes so much information," Wing said. "Looking at the data in this way helps us understand the probable magnitudes of change going forward." 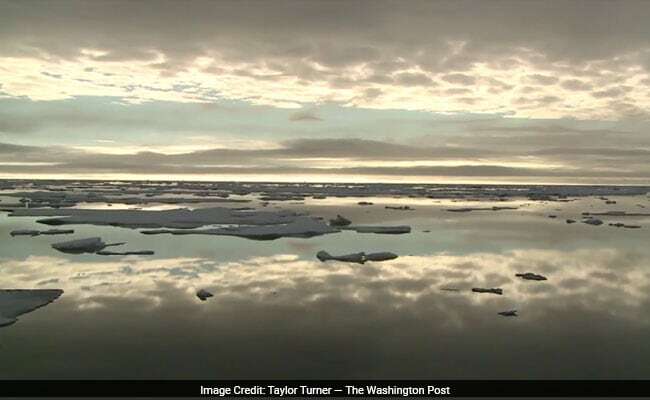 A draft United Nations climate science report released earlier this year suggested that Earth will almost certainly cross the key marker of 1.5 degrees Celsius of temperature rise by the 2040s. This means the dire high-emissions scenarios - and accompanying ecological change - depicted in the Science study seem ever more likely. Indeed, some of the predicted ecological shifts are already happening, Jackson said. Where he lives in the Southwest, severe wildfires are destroying ponderosa pine forests that have existed for generations; constant high temperatures and prolonged drought prevent the pines from regenerating in the aftermath. "Instead of these beautiful, open, shady cool stands of ponderosa pine forest we have oak shrubs that are very dense and maybe three to five feet high," he said. "So when you're on the old hiking trail that takes you through the skeletons of ponderosa pine, [the shrubs] don't impart any shade." But hotter hikes are one of the milder consequences of this vegetation change. Jackson noted that the shade provided by ponderosa pines helps preserve snowpack well into the start of summer. The later meltwater is necessary to sustain the streams and rivers on which plants, animals, farms and cities all depend. The loss of these pines will trigger domino effects all across the watershed, altering landscapes from the mountains to the sea. "What we're talking about here are the kinds of changes that disrupt everybody's lives," Wing said. "People want to migrate . . . their livelihoods are no longer possible because the environment around them has changed radically in a few generations." All three scientists said it would be difficult to predict exactly how individual ecosystems will change in the years to come. Not only is modern climate change faster than what occurred after the Ice Age, but the ecological disruption caused by temperature increases is compounded by pollution, deforestation, and other human activities. "That is a unique combination, and that's what makes it more scary," Jackson said. "It's going to take the natural adaptive capacity that's out there and strain it, and we will probably have to adapt too."